Our content doesn’t usually cover public service announcements. But THE NIBBLE website was built around the concept of celebrating food-oriented holidays; so we think this is an important one for us to spread the word. Pass these tips along to friends, kids, and anyone who will be drinking a few on St. Patrick’s Day. Plan for a sober ride home after the celebration. 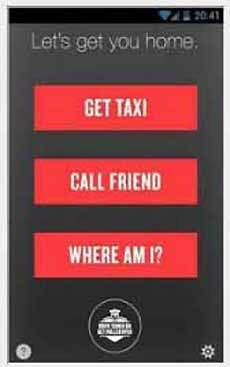 Download the NHTSA’s SaferRide mobile app, enabling users to call a taxi or a friend and identifying their location so they can be picked up. Collect the car keys as guests arrive. Don’t return them to inebriated drivers. Have the numbers of cab companies at hand, or be prepared to use your Uber account to get buzzed drivers home. Plan for that extra guest to spend the night. In 2014, 9,967 people were killed in alcohol-impaired driving accidents, accounting for nearly one-third of all traffic-related deaths in the U.S., forever changing the lives of parents, children, friends and other loved ones. In 2015, the number increased to 10,265 deaths (2016 numbers are not yet available). Plan ahead. Don’t rely on the luck of the Irish. AND SPREAD THE WORD AGAIN BEFORE NEW YEAR’S EVE. 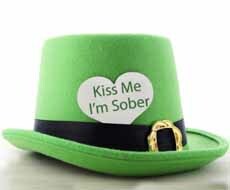 Add a reminder to your St. Patrick’s Day hat, name tag, etc. Download this app so you can get assistance on any day. Photos courtesy National Highway Traffic Safety Administration.